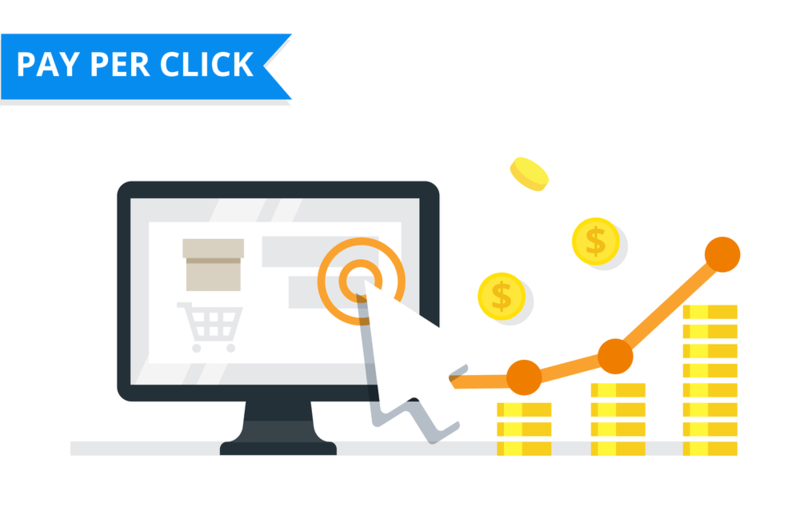 PPC, or pay-per-click, campaigns can be a smart way to increase traffic to a website. This essentially works by having advertisements that lead to webpage visits. The alternative is generating traffic organically, which can bring less or slower success. While PPC can help to make things easier, some strategy is necessary to make the most of these types of tactics. Here are five tips for boosting PPC leads and bringing more attention and engagement to a business website. Before diving into the strategies, it’s important to point out that PPC campaigns have one obvious pitfall. They invite just about anyone to peruse the website and fill out a contact or interest form even if they have no intention of making a purchase. These “leads” may number in the hundreds or thousands but if the majority of them aren’t intending to buy the service or product, those stats are moot. It’s more about quality than quantity. Successful digital marketing in Bangkok requires the high-quality lead generation and that’s what these techniques are going to address. By better, this means targeted keywords. These buzzwords are the starting point for generating leads so if the phrases and words are generic, don’t expect quality visitors to the site. Think of a keyword as a sort of passcode that gets the website link to the front of the in-crowd. The people who will really value the web page and its product offerings will be the first to see it. Instead, lots of marketers rely on run-of-the-mill keywords that could appeal to just about anyone. Then they scratch their heads when they see that they aren’t generating any high-quality leads. So what makes a decent keyword or phrase? It needs to be specific and therefore should probably be more than one or two words. Marketers should take a look through their current list of keywords; they might find that most of them are generic and could appeal to any type of industry or business. This is no good because it won’t attract the prime audience. It’s all about setting up intention and specificity. Quality leads know what they want and they’re going to be on the lookout for key phrases and words that match what they want. Think about it. If a person is searching for women’s athletic shoes but a marketing campaign only lists “women’s shoes”, they’re missing out. That small difference can make or break a business’s success. The website will attract people who are interested in women’s athletic shoes but also people looking to buy women’s dress shoes and women’s casual shoes. Those aren’t high-quality leads. The general rule of thumb is not to be broad. Another thing to check for is the marketing copy or meta description that shows up in the search results. If a person is looking for women’s athletic shoes, the ad copy should reflect that. However, maybe the business is also trying to sell athletic shoes to men as well. Their meta description should address both of these potential clients to ensure that they get the most quality leads as possible. That way, the company isn’t averting those who are interested in women’s athletic shoes but they also aren’t targeting solely those potential customers. They’re leaving the door open for those looking for athletic shoes for men too. Once people click on that link, they will most likely end up on the site’s landing page. This is their first experience of the website and the company in general. The most successful marketers use their landing pages to accurately identify their gold star customers. These are the ideal buyers: what they’re like, what they want, and how they’ll get it. Not only will the landing page include written copy but it should also take visuals into account. Use images that reflect the primary, ideal client base. Think about the colors and the general mood of the landing page. Will it appeal to the customer or turn him or her away? A bit of research into color theory can reveal which shades evoke certain emotions. That knowledge could prove useful in crafting the perfect homepage. When people arrive at the landing page, they are typically greeted with a contact form. They can fill this out for more information and to receive email correspondence from the company. Filling out this form indicates that the website visitor is interested in becoming a customer; he or she is a high-quality lead. The problem arises when contact forms are overly general and don’t really separate an everyday visitor from a potential client. The way to get around this is by taking a look at those contact forms and making sure that the questions on them are weeding out the people who are least likely to make a purchase. Simply asking for a name and email address isn’t requiring much commitment from folks. On the other hand, asking detailed questions will attract those who are more serious about making a purchase. For the example of athletic shoes, a contact form might ask for a name and email address but perhaps also their preferred shoe brand and the physical activities they engage in. Back-end data refers to the key findings that result from a marketing or campaign management system. A decent online marketing tool will figure out which campaign tactics are generating the most targeted leads. Managers can use this information to optimize their strategies and pour resources into the ones that are providing the most results. Remember, it’s better to look at quality than quantity. There are times when it might seem as though KPI is decreasing but even though overall leads are going down, this usually means that high-quality leads go up. Don’t be scared off by dwindling numbers; instead, consider the larger picture. These techniques can make online marketing way easier and more concerted efforts can end up boosting the numbers that really matter. Fantasy Cricket: Everything a cricket lover needs!